With another school year under way we are getting used to early hours and school routine. Often transitioning to this time of year is a bit easier with preparation. We start getting the kids to bed earlier before school starts to prepare them for the early alarm clock. In doing so we hope to avoid the ‘morning grumbles’ and make sure there is time for a good breakfast. We all know that the best-laid-plans aren’t always a sure thing, but can be worth the effort in producing the desired outcome. Transition plans through school ages 14-18 (and sometimes through age 22) are much the same. We are familiar with the idea of helping our child prepare but don’t always know exactly what he will need. Let’s go back to that school routine for a minute. Will my child need a simple morning call, “Hey, it’s time to wake up,” or does he need more of an impact by adding a loud alarm clock? Does the alarm clock need to be across the room? Does he need a follow-up support of you checking in on him to be sure he didn’t dive back into bed for “five more minutes”? This scenario is much like planning for transition for you child with disabilities. The way to plan for the best outcome is to be aware of the child and who he really is. What does he need? What can he do? What does he like or not like? Under what conditions does he perform best? These can be broken down into PINS: preferences, interests, needs and strengths. Too often we hear about other children and how they make strides. We think, “Wow, they did this and it worked out well for their child.” “I think I will try that with my Ricky.” We set the same process in motion and it does not work out as well. It becomes frustrating and we give up. We have found that in transition and when working with individuals with disabilities, one fact remains unchallenged: you will not often find that one student is just like the other. Throughout education and all aspects of life, planning is most comprehensive when it is person-centered. When we sit down and really get to know the child, we can then create a plan that will guide him toward future success. Much of this can happen during transition planning meetings where the team discusses the Individualized Education Plan (IEP), the student’s past and current level of performance, as well as his preferences, interests, needs, and strengths. It is very important that you say where you want to see your child in the future. When planning for a young transition-age student (ex. 14-16) the future planning may be quite difficult. You are unsure as you have not seen enough academic, social, vocational progress to be sure about where he might be in the future – but don’t let that deter you. Your child, wherever possible, should express for himself where he sees himself in the future. Often we see future planning that includes being an actor, a doctor, a veterinarian, a mechanic, a video game designer, or a pro athlete. This is fine in the early stages of planning. We have all been there, too. Once your child progresses through transition, we hone the post-graduate goal to the assessed strengths, skills and interests that will lead to the most achievable goal. Simply taking the time over a few days or a week to break down your child’s day and add his PINS – preferences, interests, needs, and strengths – can provide invaluable input in the planning process for transition. Describe what your child can do and what your child struggles with. Once you have all of this information, it is much easier for the IEP team to determine what needs to be prioritized for the school year in order to make progress work toward the transition goal. Transition planning lasts anywhere between four to eight years. Make the most of it. Bring your child to the planning table and encourage him to share who he is or provide that information to help the IEP team to determine the logical steps for making progress toward his future. Often times I attend IEP meetings where the parent/individual does not seem to feel that she is an active part of the planning. We’d like to change that. We want to encourage you to share your valuable and formative information. This process is, and always should be, a team approach to creating a transition plan. Haley Wiseman (left) and McKale Losey fold fitted sheets at Holiday Inn Express in Athens. Photo by John Halley for The Athens Messenger. Having a summer job is a part of life for most teenagers, and it’s no different for the 21 students working through PersonnelPlus’ Summer Youth Employment Program. The program, split up into two areas, career exploration for younger students, and on-the-job experience for older ones, lets high schoolers job shadow, learn interview skills, and build their resume, PersonnelPlus Transition Coordinator Jordan Pepper said. Students are paid minimum wage — $8.10, which is funded by Opportunities for Ohioans with Disabilities and the Vocational Rehabilitation Public and Private Partnership, and work 20 hours each week during a portion of their program, lasting five weeks, Pepper said. Read the rest of the story in The Athens Messenger. For the past two school years, Hannah Hartman has been building up her work and communication skills. Once a week, Hannah, who is nonverbal, heads her job at Mercy Fairfield Hospital’s central district supply room with Rita Kortekamp, an instructor assistant at Margaret B. Rost School. When teachers first began talking about Hannah getting a job, her mom, Jenny Hartman, was a bit skeptical because Hannah typically prefers socializing to working. Kortekamp added that Hannah is always friendly and social with the other people in the supply room, communicating through sign language and other ways. In the video below, Jenny Hartman, sitting with Hannah, talks more about making the transition to work. Jessica, left, measures ingredients, spent brewery grains, with the help of Bobbie Perry, an instructional assistant. Not long ago, Lisa Graham visited San Diego and learned that dog bones, pizza dough, pretzels and bread could be made using whole-spent grains from the beer brewing process. About a year ago, she started Brewhaus Dog Bones in New Richmond, a company which helps young adults with disabilities develop vocational skills and have fun, meaningful project-based learning opportunities. The perfect storm of Graham’s thoughts became Brewhaus. Brewhaus Dog Bones are small-batch, hand-crafted, oven-baked treats made from whole grains sourced from local breweries. She said she sees students blossom on a daily basis, because they have taken on specific roles in the kitchen. Not only do students make the dog bones, but they are involved in invoices, loading, delivery and sales. They are not stuck in the kitchen. They get to see their product to completion, and the interaction with vendors and breweries is a priceless life skill. An important new endeavor is a partnership with Clovernook Center For The Blind and Visually Impaired. Brewhaus and the center will provide paid employment for participants, a beginning to another business model using brewery grains. Graham’s passion has become a meaningful reality for students all over the Cincinnati area. Her goal is to eventually have a freestanding “Brewhaus Bakery” — integrated within a brewery — and a “Brewhaus Brewbus,” a food truck for dogs, that supports paid employment for very special adults. This story originally appeared in The Salt Magazine. As summer winds down and we get ready for another school year, let’s take a moment to talk about transition. Transition services are provided to school-aged individuals with disabilities in order to develop, explore, and pursue a person-centered path to employment. When providing transition services (usually ages 14 to 22), a teacher will invite local professionals and agencies who can provide input, planning, and services that lead to an educated and experiential path to employment. You and your child are the most important members of the transition team organized to create a comprehensive plan. So, what can you do to prepare for transition planning? Start to write down your child’s interests, no matter how diverse or trivial you think they may be. A vocational professional can then discuss and explore avenues where those interests may fit into employment. Add preferences as well: likes crowds, does not like loud noises, likes to work in a small group or independently, cannot tolerate heat, is afraid of dogs, etc. Be specific wherever it applies. Also, list needs: cannot prepare his lunch (open containers), needs extra time to process verbal input, does best with picture directions or a checklist as a way to remember things, etc. You have vital information that will help develop your child’s Preferences, Interests, Needs, and Strengths (PINS). If you are able visit favorite sites in the community, list the name and what specifically draws your child’s attention at that site. Can your child volunteer at that site through school work-study or something you set up? Speak to your teacher about this. It is also very important to help your child develop work skills at home. Choose something motivating, not something he/she dislikes. For example, have your child help to put the groceries away (food is often a motivator, so it may not be as difficult as suggesting laundry for example). Start small, just one bag of groceries. Take notes as they approach the task for the first time. From there, guide your child toward efficient (a decent pace), logical (foods go in proper places), and thorough (task completion) participation. Start with guidance and fade out of the process as soon as possible. Guidance should always be in a positive and supportive manner and task completion followed directly by a preferred item or break, which helps to foster confidence and future participation. Starting this at any transition age is appropriate and helpful in the development of core work skills. Finally, there are a number of other resources that can be helpful for planning transition services. Check out the OhioMeansJobs website, see what it has to offer (tutorial guide), and perhaps start a back-pack for your transition-age youth. There are many ways to use this site when preparing for employment and/or college, and everything you do can be saved on this site so you can share access with your child’s teacher, if you wish. Ask your teacher if they are using OhioMeansJobs in their transition planning or if they use Naviance (some schools pay for this separate and equally useful system). Ask for guidance on how best to use the sites and how it can be incorporated into the transition plan. Agencies such as Hamilton County Developmental Disabilities Services, Opportunities for Ohioans with Disabilities, mental health providers, Job and Family Services, and other agencies you may already be working with can collaborate in the planning and provision of transition services. The State of Ohio’s Employment First website is a great resource for learning about initiatives for all individuals with disabilities. The Ohio Department of Education’s website is full of useful information to help you understand more about transition and its importance in your child’s education. Also, your local State Support Team 13 has a multi-faceted site where you can find resources, seek support, and obtain information regarding transition services. That’s it for now – enjoy the rest of your summer vacation! Lisa Grady is the Transition Supervisor for Hamilton County DD Services. WORKing Together is hosting a free workshop for educators and service providers to learn ways to support students with disabilities to transition from school to work. The workshop is 8 a.m. to noon Tuesday, Aug. 4 at Scarlet Oaks Career Campus, 3254 East Kemper Road. Click here to register. WORKing Together is a collaborative project of the four southwestern Ohio County Boards of DD, University of Cincinnati UCEDD, and several community provider agencies such as Easter Seals and Goodwill. The group’s aims to improve employment preparation and employment opportunities for youth and adults with developmental disabilities in southwestern Ohio. Welcome to the 2015 Families IN THE KNOW information series! Hear current, Hamilton County DD Services system updates (information as we learn it). Also hear the experiences of people we serve and their families. It’s free but please register. You can register online by clicking here, or by calling Lynne Calloway, Family Liaison, (513) 559-6637. 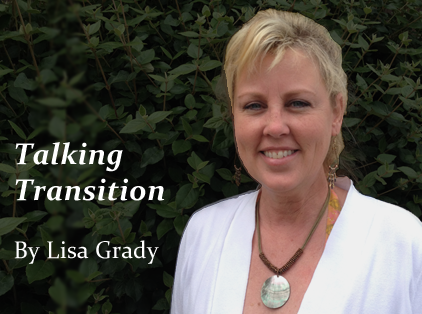 During this session Lisa Grady, Transition Supervisor, will share updates regarding Transition to Work. Hear the varied transition experiences of family members, and brief organization updates from Dawn Freudenberg, Director of Planning, lnnovation, and Quality. The last part of this session will be devoted to family-friendly, facilitated small group discussions to hear your Transition-to-Employment concerns and creative solutions!